PrintPrint offers the most competitively priced custom stickers in Vancouver, BC. Stickers can be a powerful, cost-effective tool to have in your marketing arsenal as they allow you to turn your customers into brand ambassadors. By making a small investment to create unique stickers, you’re encouraging your customers to do some of your advertising for you, at no charge! Our custom stickers can be fully customized to help bring your message or brand to life. We can print custom stickers from as small as 1/4″ wide and up to a maximum width of 60″ in one piece. They are available in almost any shape. Standard paper stickers make for great promotional material to help you build brand familiarity among your clients, and make for great gifts in show bags and giveaways. Custom vinyl stickers are a super durable and tear-resistant alternative and can be used in a variety of outdoor settings like storefront display windows or on walls and other low reflective surfaces. All of our custom stickers come equipped with high-quality adhesive suited for a variety of surfaces and can be removed without leaving behind any messy residue. If you’re interested in larger sticker products, please visit our page on decals. We also offer in-house design services for any of you who are struggling with designing your own custom stickers. For more information on our design services, please click here. Digital printing is ideal for last-minute orders of a small quantity. We can digitally print custom stickers on both vinyl and paper stock with a general turn around time of 1-2 business days. Offset printing is the perfect solution for larger orders placed in advance. 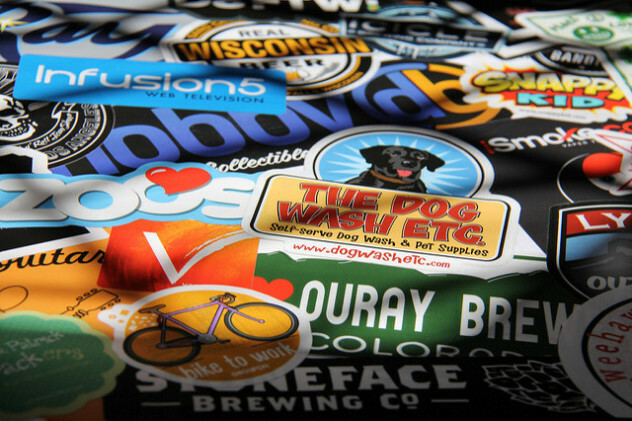 Using our top-of-the-line offset presses, we can create custom stickers on a variety of materials (such as foil), and can customize them with metallic inks, pantone colors, and much more. 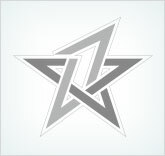 Stuck creating a great design for your next batch of custom stickers? Talk to one of our designers today for tips, and check out this post for more awesome custom sticker design ideas. Print Schedule1-2 business days for digital, 7-10 business days for offset printed stickers. Artwork DeadlineBetween 3-48 hours before, depending on current workload.